The post FanDuel Group Receives License For West Virginia Sports Betting appeared first on SportsHandle. The FanDuel Group has moved closer to opening up a sportsbook in a second state, as its management services provider interim license was granted on Friday by the West Virginia Lottery Commission, managing general counsel Danielle Boyd told Sports Handle. In late June, FanDuel CEO Matt King announced a partnership between FanDuel and The Greenbrier Resort in Sulphur Springs, W.Va., which will have the DFS-turned-sports betting operator install a FanDuel Sportsbook at the resort. 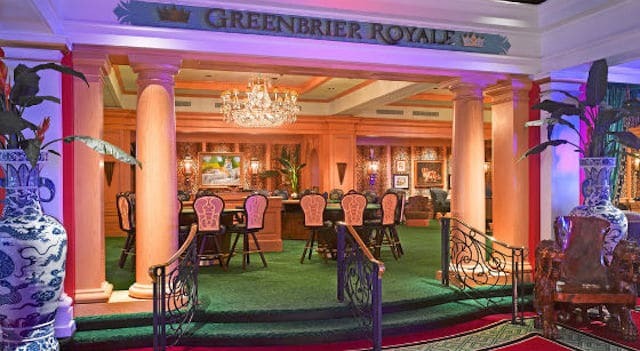 The Greenbrier itself has not yet received its operator license, though. The Lottery Commission advised all five of its eligible licensees to submit a letter requesting the operator license with a $100,000 licensure fee, but so far The Hollywood Casino is the only one to have done so, receiving its operator license on Friday and becoming the first casino to claim one, Boyd confirmed. FanDuel Sportsbook On Track For WV Sports Betting as William Hill And Penn National Gaming Teaming Up There, Too. At The Greenbrier Resort’s Casino Club. Earlier this week we learned that the Hollywood Casino in Charles Town, W.Va. would become the first casino in the state to offer sports wagering. How long until Greenbrier’s FanDuel Sportsbook cuts a ribbon will debut is guesswork at this point, but certainly the property has to get its operator license first, which should shouldn’t take too much longer than it takes to write a $100,000 check. FanDuel, now owned by Ireland-based bookmaker Paddy Power Betfair, began cutting its sports betting teeth at the Meadowlands Racetrack in northern New Jersey in mid-July. The sportsbook has not yet released a mobile app or web-based betting platform in New Jersey, while its rival and one-time merger partner DraftKings launched the first New Jersey mobile sportsbook on Monday, beating a host of others to the punch. As in New Jersey, when the FanDuel sportsbook does go mobile in West Virginia, patrons will have the ability to register and deposit into accounts remotely, so long as they’re inside the state’s borders. William Hill and Penn National Gaming. Last Friday, bookmaker William Hill announced a big-time entry into Mississippi, while also teasing a partnership in West Virginia plus a much greater one that would put it all over the U.S. map. While neither William Hill or the Wyomissing, Penn.-based Penn National Gaming (PNG) has yet confirmed a partnership to have William Hill running the sportsbook at the Hollywood Casino in Charles Town, multiple sources have indicated it’s a deal. In light of the deal in West Virginia and Bowcock’s remarks, the most logical way to get to 14 is via PNG, which is in the process of acquiring Pinnacle Entertainment Inc., which adds Iowa, Louisiana and Colorado to PNG’s map.